Network cabling otherwise known as structured cabling or ethernet-cabling-installation, is a system designed for the transportation of valuable information from one device or point to another. Typically, a specific environment is involved in the process, whether for a small business or enterprise level systems network. The advancement in technology has brought numerous changes to the way people use different tools and devices. Majority prefer wireless networks because of its convenience, but there are people who still prefer old methods. Computers as well as their data have become such an essential part of most business and our daily life that it is even unthinkable to just imagine the world without these tools and gadgets. Network cable installation with Networks are in everywhere from our home and business environments to entire cities as an integral part of government operations. A lot of people use twisted pair cables for Ethernet networks. It’s of two types: shielded and unshielded. A. The Unshielded Twisted Pair (UTP) :- is the most common and the best choice for school networks. It has four pairs of wires inside a plastic separator. Technicians twist each wire so it will not interfere with each other and with any devices on the same network. This offers a higher supported transmission depending on the tightness of the twist. Most people use twisted pair cables for personal computers, wireless access points, and other networks. It is the most reliable type of network cabling because it has lesser chances of network failure. B.	Shielded Twisted Pair (STP) :- Works in an environment with electrical and radio frequencies. Unlike unshielded twisted pair. The only disadvantage of this cable is that, the shield can make the cables become bulkier. Our services including network cabling is guaranteed for 2 years. This type of cable is very expensive and most people use it for backbone and work station connections. Fibre optic cables transmit light instead of electronic signals, thus eliminating any electrical problem. Fibre optics cable will allows you to transfer huge amount of information very fast by using its broadband capacities. It has several layers of protective coating to protect the information as it travels to such distances. This also requires less power compare to high-speed copper. Fibre Optics cables can transmit signals over longer distances than twister pair and coaxial cables. This is a good option for fast and reliable communications. Coaxial Cables are very common for domestic use. Service providers use this for cable television locations. The dominant part of this cable has copper conductor and plastic coating, which serves as a conductor and metal shield insulator. Different types varies in thickness. A cable is less flexible if it is thicker. Coaxial cables support extensive cable lengths between network devices. Technicians use this electrical and optical cable to connect devices to one another by signal routing. They use patch chords to connect these types of devices. It usually comes in different colours so that people can easily identify them. Its length can range from eight centimeters (8cm) to two meters (2M). Some of the examples of patch cables are Microphone cables, headphone extension cables, and XLR connector. The sides of a patch cord fits with connectors so most people refer to this as a “pigtail”. Crossover cables connect two devices unevenly by a network cabling called crosslink. Most Technicians use this cable to connect devices together with a network switch, hub or router. This is perfect for connecting two computers through network adapters. The term came from the connections that “cross-over” when cables connect two devices of the same type. Ethernet cables are used virtually in all offices around the world. They connect our computers to the modem or networks to enable us to communicate effectively. The main Ethernet cable wiring standard is the Category 5, or Cat-5 standard. The original Ethernet cable, that’s known anyone who has spent any amount of time fiddling around with computer networks, is a cable that ends in a dock that looks slightly fatter than an ordinary telephone jack, and easily inserts into network adapters on other machines. Ethernet cable wiring is a ubiquitous industry standard, and consists of 4 pairs of wires of different colors twisted around their twin cables and insulated from each other. Ethernet cable wiring is twisted internally, and the twisted pairs insulated, because this kind of internal configuration prevents interference and signal leakage between the different strands. Each wire in a cable is one of 4 different colors: orange, brown, blue, and green, each twinned with a mate that is a stripy version of that cable. The various wires are insulated from each other in order, as mentioned above, to avoid signal leakage, which is why when cutting out and measuring your own cable wiring it is necessary to ensure that only the last half-inch of each cable is cut. This prevents the various strands mixing and causing interference. Ethernet cable wiring is easy to do provided you know what you are doing. Since Cat-5 wiring was introduced in order to increase speed and performance over computer networks, the use of this cable is recommended for anyone who wants to access and use the Internet with all its content. A normal Cat-3 standard, such as a dial-up connection, will not carry any more than 10 MB of data per second. 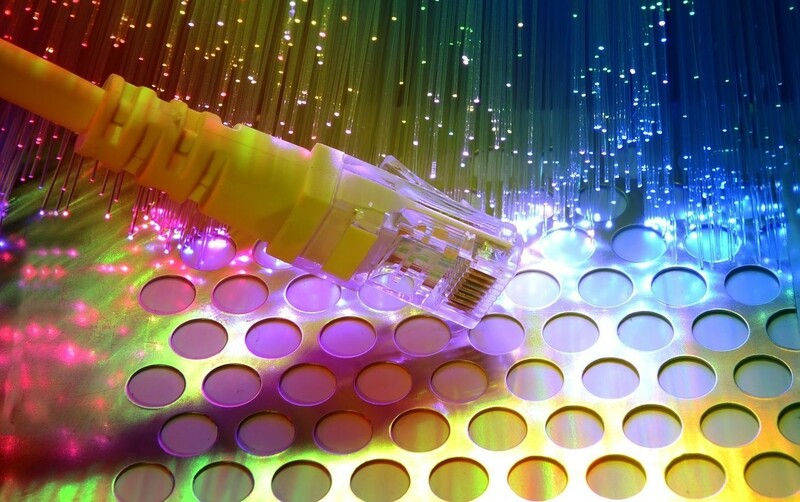 By contrast, Ethernet cable wiring can carry up to 10 times more data per second. As a result, this standard is necessary for anyone wishing to use such services as Internet and video telephony, or to watch and access audio and video streams. The Cat-5 standard was the main standard, but even it has been gradually phased out by a newly developed standard that costs the same. This is the Cat-5e standard, which carries the same data as a Cat-5 cable but is useful to business networks due to small technical changes that make it a better carrier of data. Check out the video provided on Ethernet cable wiring and how to wire a cable. Ethernet cable wiring is available in a number of colors, which are immaterial to what the cable itself can do. The internal wiring of the cable is what is important. As mentioned above each cable comes with 4 twinned pairs of wiring wrapped in insulation sheaths as standard, and should be cut only at the last half inch in order to preserve this insulation. This is because each of the 4 strands inside Ethernet cable wiring carries a different signal, and the mixing of these signals causes the data inside the cable to come out at your end slightly garbled. This may not seem like much, but remember that it could lead to annoying lags in connection, and in some cases to no connection at all. Therefore, when deciding on Ethernet cable wiring, make sure that you exercise care in cutting and shaping it to your needs.